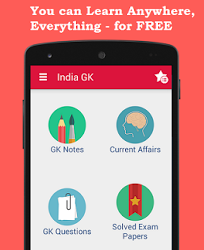 3, 4 July 2017 Current Affairs MCQs, Quiz, Questions: Current Affairs for July 2017, Daily Multiple Choice Questions (MCQs) for India GK, World GK and current affairs with Collection of daily objective type Question by www.Indiagk.net based on General Knowledge (GK) and General Science (GS) Questions for UPSC, State PSC, SSC, Police exam, Railway exam, SBI, Bank PO, IBPC, SSC, LDC, UDC, Army, Airforce, Navy, Coast Guard, Bank Clerk, TET and all entrance examination with current affairs News, Multiple Choice Questions (MCQs) available on Website www.IndiaGK.net and Android Apps with daily updates:. Which football team has won 2017 FIFA Confederations Cup? Who is appointed as New MD of Union Bank of India? India’s biggest Global Skill Park will be set up in which city? Who took over as the new CEO and MD of L&T? Who has become the first female Chief Executive of Hong Kong? What is the India’s economic growth rate in 2017-18, as per RBI’s Financial Stability Report (FSR) June 2017?